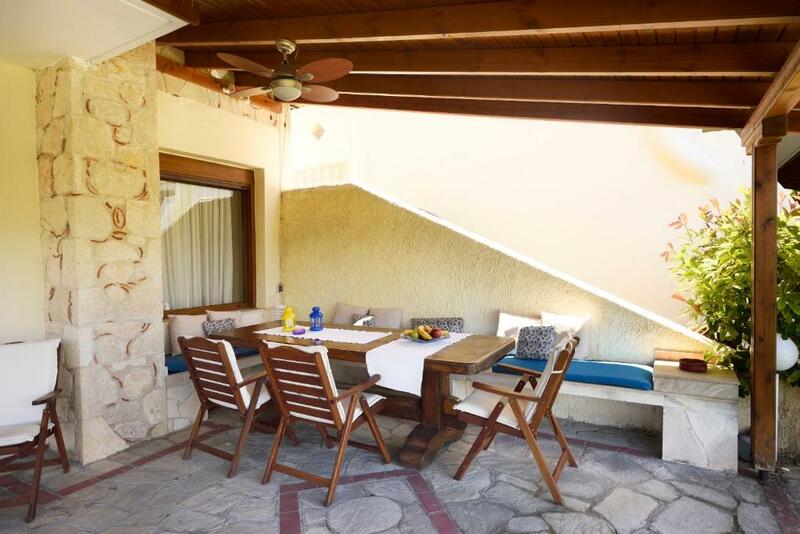 Located in Sani Beach in the Macedonia region, Sani Bautiful Villa features a terrace and sea views. 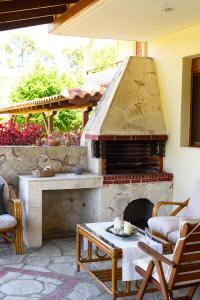 This self-catered villa has a garden and barbecue facilities. The villa features 3 separate bedrooms and includes a kitchen with a dishwasher, oven and dining area. A flat-screen TV with satellite channels is provided. 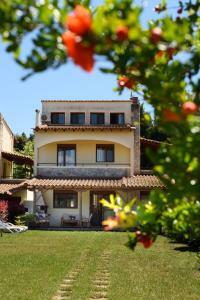 Vourvourou is 26 mi from Sani Bautiful Villa, while Elia is 25 mi away. 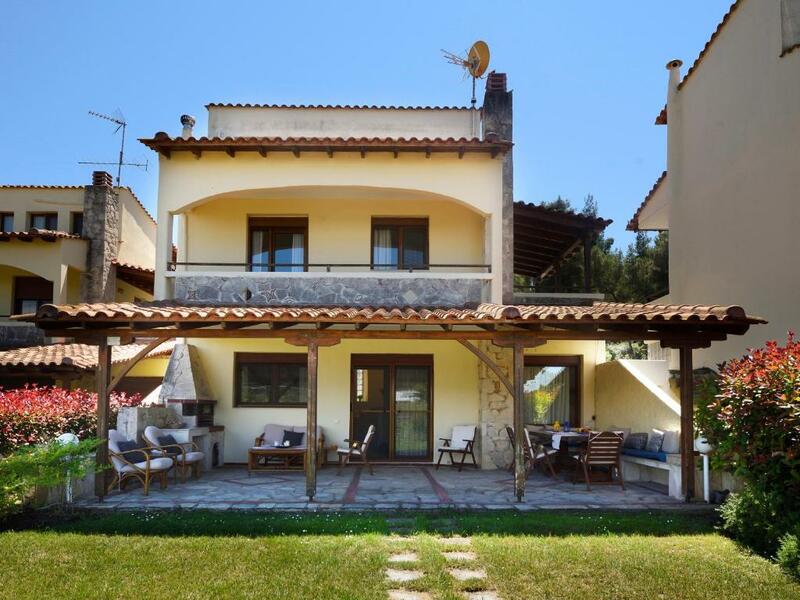 The nearest airport is Thessaloniki Airport, 35 mi from the property. When would you like to stay at Sani Beach Villa? 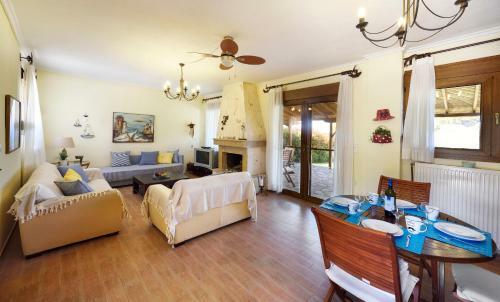 Beautifull 102m2 villa, only 2 km from Sani Resort, in a 7 villa complex with seperate 800m2 garden and great view. A shared swimming pool and a tennis court. Ideal choice for enjoying a quiet and peacefull vacation in nature with the sounds of the woods and far away from noisy cities. Characteristic of the villa are the cozy and shiny rooms, the smell of the pine trees and the moderate coldness that comes from the pine forest, which makes the house pleasant even during a really hot summer. 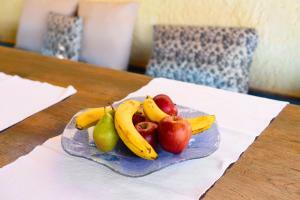 At the ground floor there is an open plan fully equipped kitchen with a dining table. 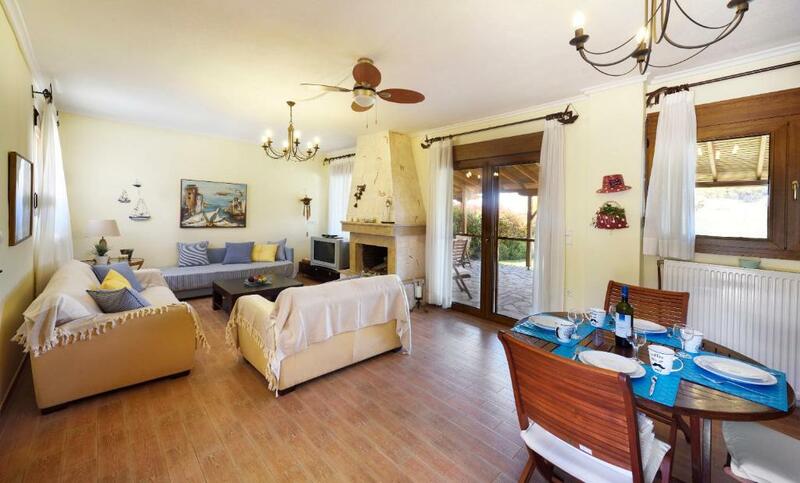 There is also a cozy living room with two sofas and a sofa bed, table, fireplace and tv. A WC with a washing machine. 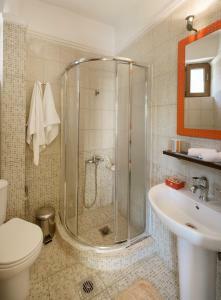 At the first floor there are two bedrooms and a fully equipped bathroom with a shower. 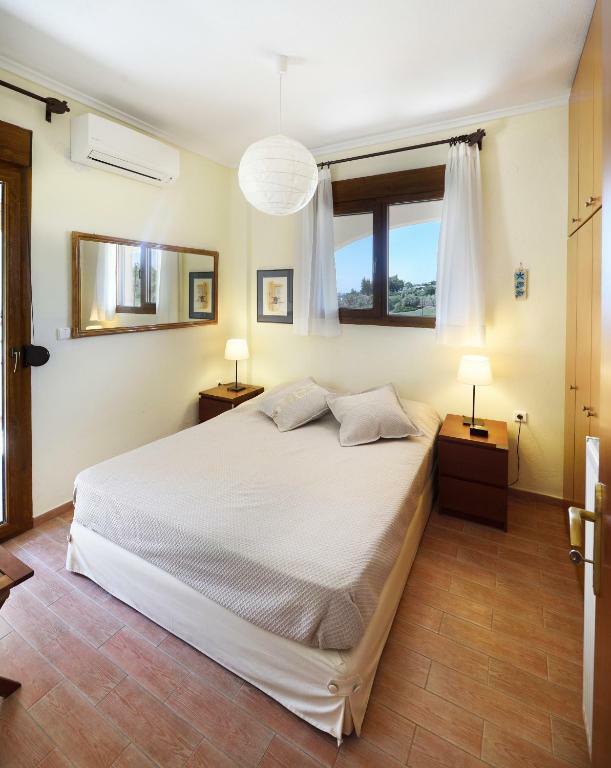 The first bedroom has a double bed, two bed side tables and a fitted wardrobe, with view to the front garden and its exclusive balcony with view to the forest. The second bedroom has twin beds, a fitted wardrobe, one window with a view to the forest and a balcony with a view to the front garden. 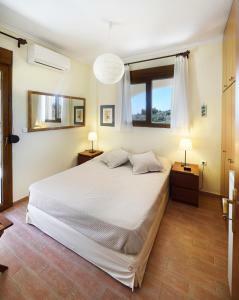 At the third floor there is a one big bedroom with a double bed, a large wardrobe and a bathroom. Hello!! My name is Iosif Koundouros. I live in Thessaloniki, and i'm willing to help you at any way possible for your vacations in Chalkidiki. You are welcome to come and stay at our house in Chalkidiki. I'm a boy scout, i enjoy good food, i am into design and history. Thank You! You can access the beach by car in 5min or in 20min on foot. At the same direction and distance you can access the Sani Resort where you will find several shops, restaurants, bars, its theatre and the Sani Hill where the Sani Music Festival takes place every summer. The beautifull pine forest is only 10min walk from the house, where you can follow several trucks and enjoy the nature. Some usefull tips for the penisula of Kassandra: Near Sani area there are two villages by the sea, Potidea and Fokea where you will find several fish taverns and restaurants. At a 12km distance is the traditional village of Athitos. Characteristic for its cobbled streets, tradiotanal houses, little shops, cafes and restaurants. 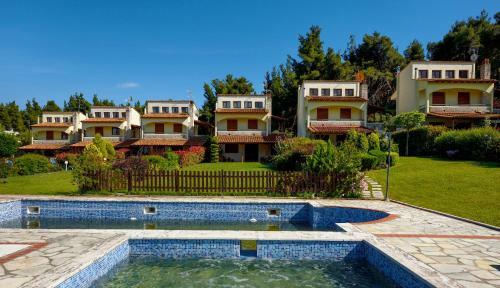 If you are in for a nightlife Kalithea is the place to be, only 15km away from Sani. It's also worthwhile to visit and discover several villages and blue flagged beaches in Kassandra. Don't hesitate to ask us for any information. 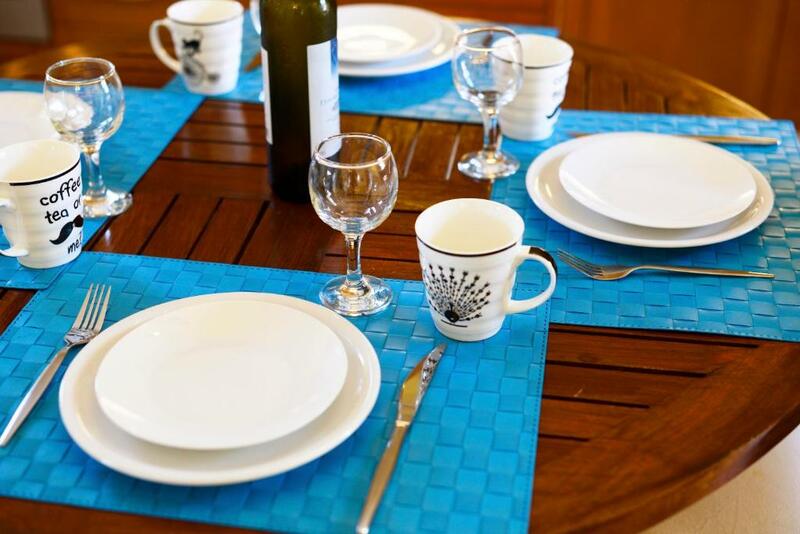 House Rules Sani Beach Villa takes special requests – add in the next step! Please inform Sani Beach Villa of your expected arrival time in advance. You can use the Special Requests box when booking, or contact the property directly using the contact details in your confirmation. We need at least 5 reviews before we can calculate a review score. If you book and review your stay, you can help Sani Beach Villa meet this goal. Wonderfull villa with great location.Quite and clean place.The owners are very friendly and helpfull.You would not regret if you choose that villa.